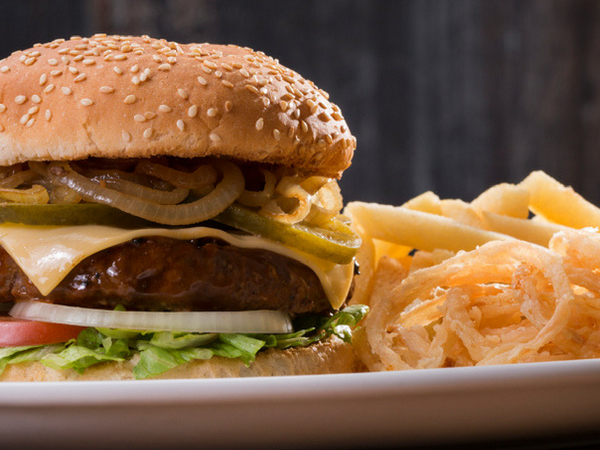 After selling the original Hussar Grill in Rondebosch, owner Greg Bax happily re-appeared behind the grill station at this tiny Harfield Village eatery, which is no doubt destined for similar status as a neighbourhood institution. 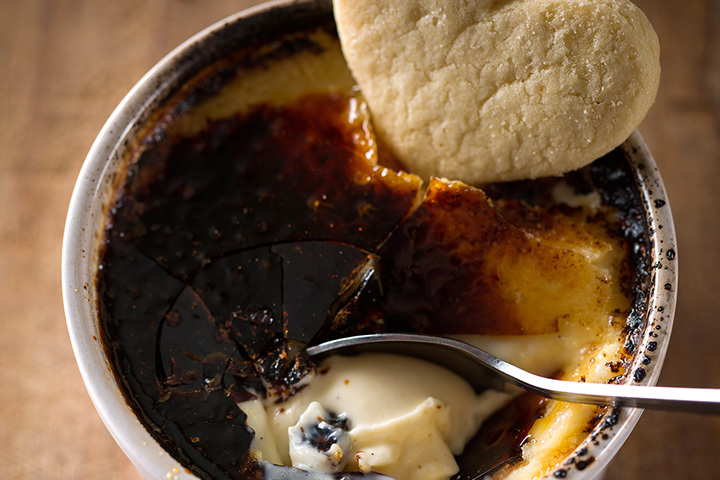 Some starters are on the wrong side of retro (deep-fried camembert, perhaps? 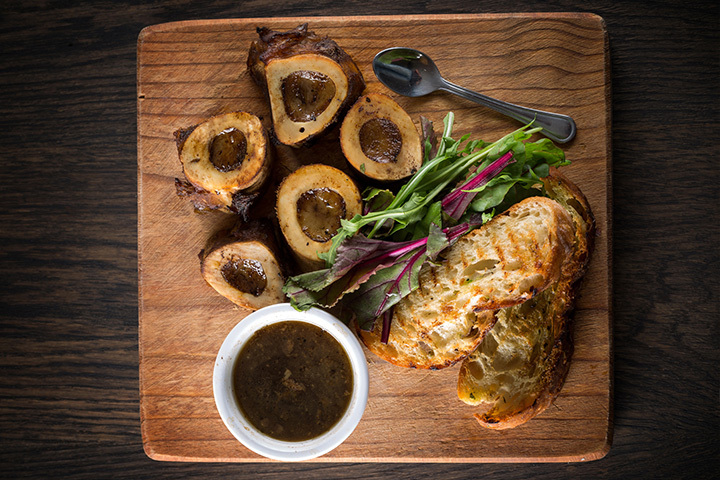 ), but you could well be won over by the bone marrow on toast or chicken livers, if they happen to be on the specials board. Also, you’re not coming here for the starters, you’re coming for the steak. There’s a reason Greg mans the grill station himself. His selection is small – aged rump, sirloin and fillet – but hand-picked, and he may well produce other cuts if you ask nicely. The rump and sirloin are both expertly grilled, fat rendered, but still rare and with enough flavour to dispense with a sauce. 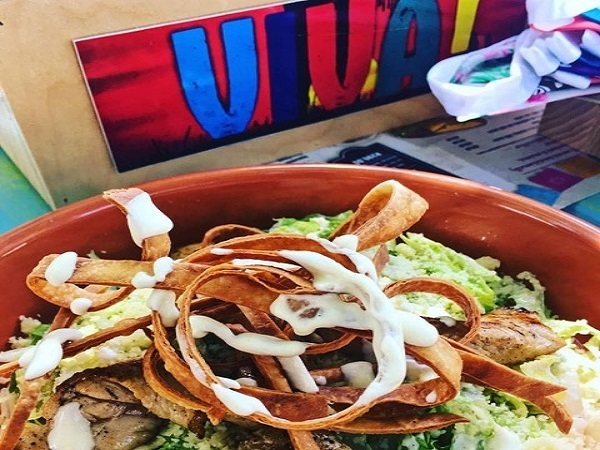 Instead, the waiter recommends the baked cabbage side, which turns out to be butter-basted and served alongside the ubiquitous thick-cut chips. 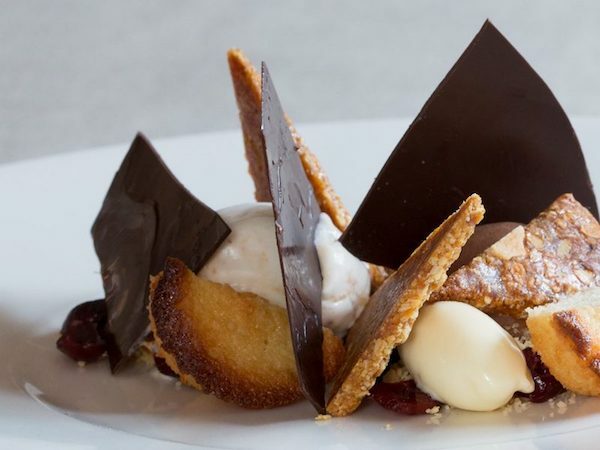 The desserts are predictable (brownies and malva) but inoffensive, and give you an excuse to hang around, chat to the staff and feel like a regular. The wine list is small but perfect for meaty pairings with discerning choices such as Edgebaston, Ernst Gouws & Co and Glenelly, on top of a big Boekenhoutskloof representation in the form of Wolftrap (house wines), Chocolate Block and Boekenhoutskloof Cab. It’s very affable and attentive, with Greg offering to seat us at the bar and throw in free tequila the first time we tried to get a table without a reservation. It’s a tiny space (hence the necessary reservation, see above), but this only adds to the feeling that you’ve stumbled on a local gem. Greg has a warm, hospitable, slightly offbeat style – faking an additional R1000 charge on the bill for the eclipse viewing on the night we ate there. It’s the kind of restaurant that puts you in a good mood every time you think of eating there. 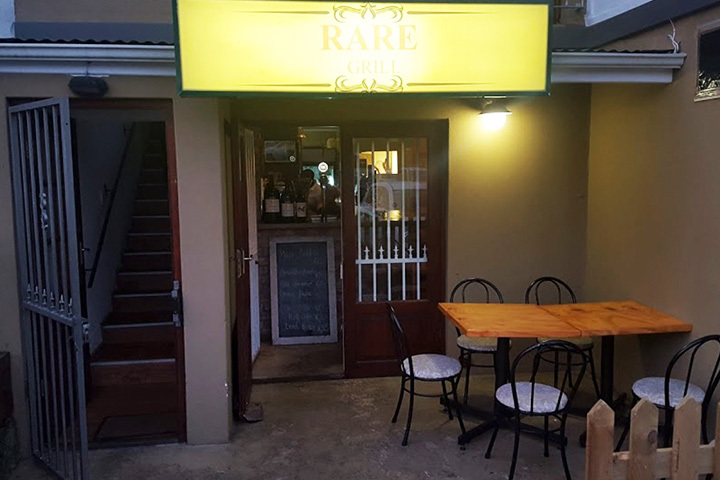 A little-known gem tucked away in Cape Town’s Harfield Village, Rare Grill has been getting some rave reviews from our readers. We sent Eat Out critic Ashraf Booley to put the steakhouse through the mincer. 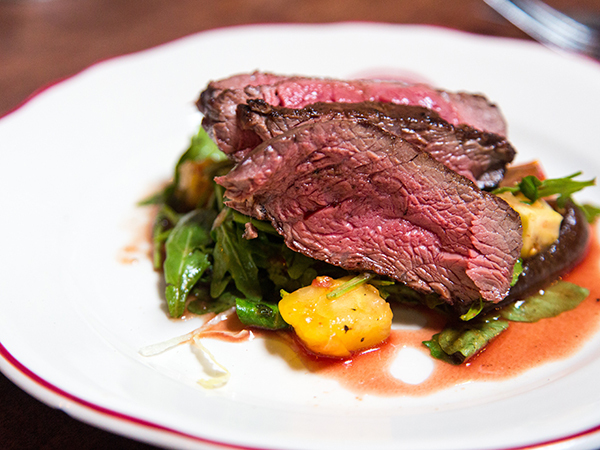 The menu is small and to the point, with steak as the restaurant’s mainstay. Choose between superb cuts of sirloin, rump or fillet (200g or 300g), which have all been wet-aged for up to four weeks. They’re accompanied by your choice of starchy sides and sauces. If you’re not up for steak, tuck into one of the other mains options, such as spicy baby calamari, a whole peri-peri baby chicken or pork ribs. The starter of mushroom risotto, soused with truffle oil, is topped with parmesan shavings. The generous portion is fortunately neither too rich nor heavy. The creamy risotto is packed with flavour and cooked to perfection. Carpaccio, bone marrow and deep-fried camembert are among the other seemingly delicious starters to try. Owner Greg Bax, who himself mans the grill, sure knows his meat: the succulent fillet is tender and tasty, sporting beautiful grill marks. The smooth and creamy sweet potato mash is the perfect foil for the fillet. 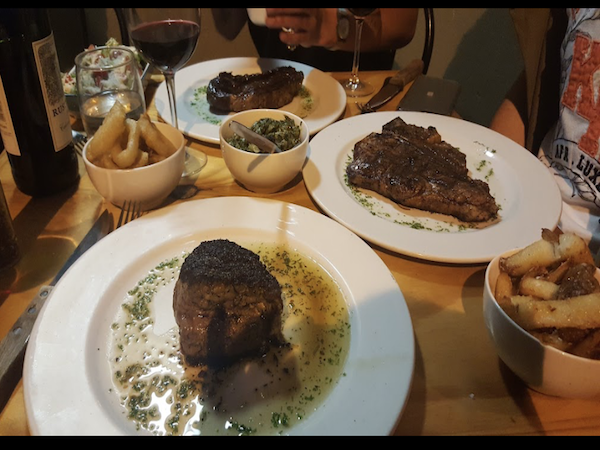 If you’re feeling ravenous, ask about the blackboard specials, which could include the popular 500g fillet on the bone (a revelation); the 500g grass-fed black Angus; or a 1kg t-bone steak, which is perfect for sharing. The béarnaise, mushroom and peppercorn sauces that accompany the steaks are; however, nothing to write home about. 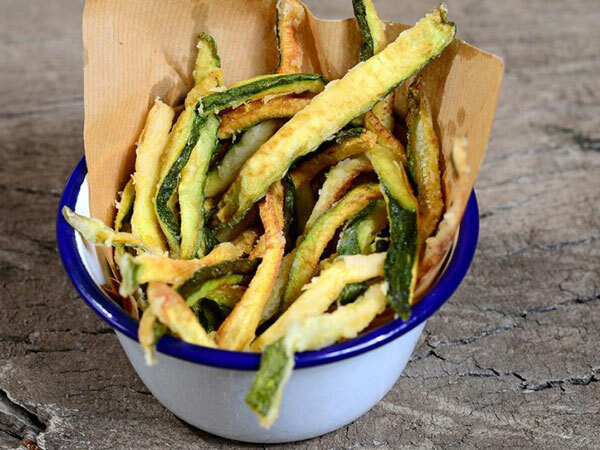 As for the crispy chunky chips served skin-on, they’re in a league of their own – fluffy on the inside and extra crispy on the outside. End off your meal on a sweet note with a local malva pud, a chocolate bomb or brownies. A small selection of Wolftrap wines is available by the glass as well as a few good bottles, a bubbles option, and craft beer on-tap. The service is nothing less than stellar. The waiter is friendly, attentive and well-versed on the menu – as is the owner, who juggles time between the kitchen and tables. 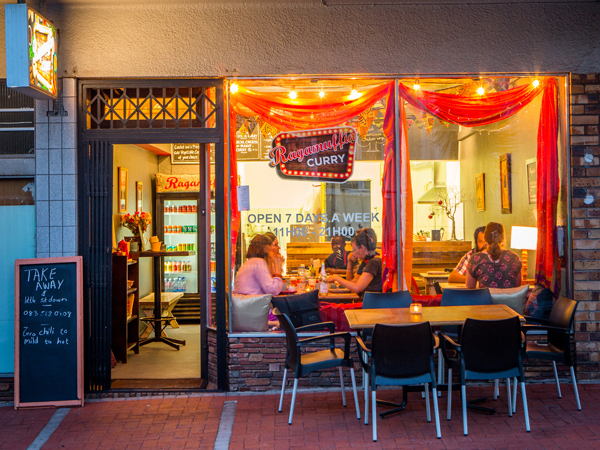 This quaint, cosy eatery is warm and intimate. 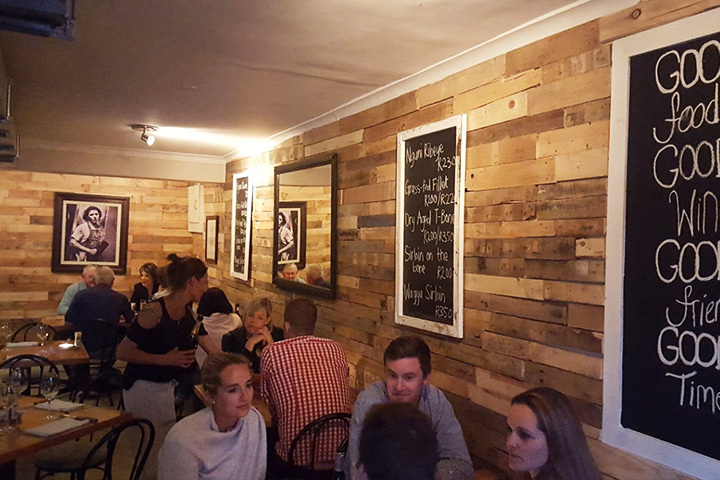 Rare Grill’s rustic wooden walls are reminiscent of a cabin. The walls are adorned in framed pictures of cows to marvel at while you savour your cut. They have chocolate vodka shots. Enough said. Had a fantastic meal at the Rare Grill last tuesday. I had the lamb saddle and it was fantastic. I would highly recommend the onion rings as a side and their own special "rare lager" to drink. 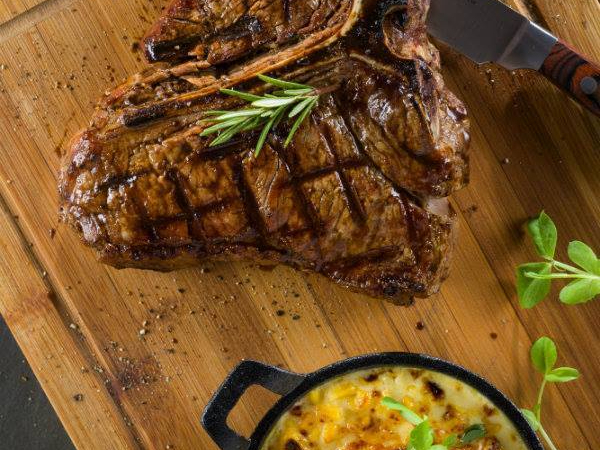 Great restaurant, awesome waitrons, fantastic chefs and best of all the owner Greg Bax is a fantastic host and grills the most amazing steaks you’ll ever try. 5 star for this establishment from me. Best steaks every time!!! Service is friendly and the waiters are knowledgeable. Must try the calamari starter and the cabbage side, delicious!!! Its cosy and intimate and wonderful! Well done!!! Small intimate restaurant, great food and great staff. I work at a resturant semi near by and I secretly recommend Rare Grill to my customer's! If I hear them speaking about "best steak" I have no hesitation telling them to try Rare Grill because I know they will be blown away! Nothing short of amazing! We have been back over and over again. The service is professional, personal (the place is super cosy). Would go back any day of the week! Absolutely incredible food; steaks are cooked to perfection, sides are extremely complementary and the wine is a treat. My wife and I are heavily pregnant with food babies after a fantastic evening. I just love the Rare Grill! We have been quite a few times and have invited friends and family along - no-one has ever been disappointed. They always have different cuts on offer and they are always superb. The sides are something different and amazing (love the steamed cabbage, yup the cabbage is awesome) I nearly forgot the starters, must try their calamari with chilli!! The service is always friendly and the waiters are knowledgeable. Love this place!! Well done, keep it up!!! Perfect steaks, delicious sides, great service. This tiny eatery is fantastic. I would like to tell you a story. In a suburb, far far away there is a little restaurant called Rare Grill. They may be small but their reputation is renowned throughout the land. One day the Queen decided to host a birthday party for the Family. She entrusted her favourite courtier to seek out a new venue. 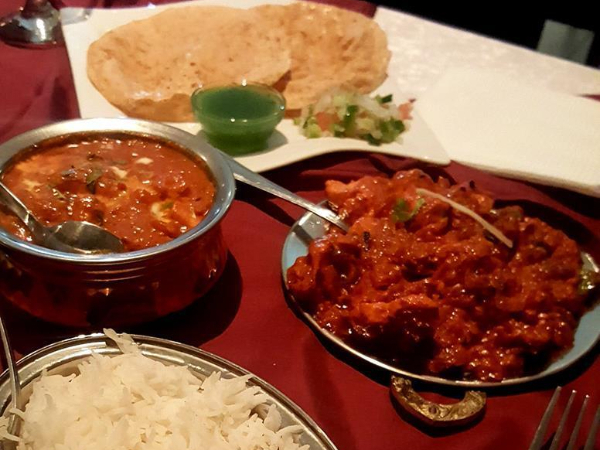 Now the courtier, being a foodie, consulted his favourite Facebook page and finally suggested Rare Grill, due to the excellent reviews and awards. So off they went. Included in the party was the Queen Mum, who at 87 did not get out much. To their dismay when they arrived the PIC (person-in-charge) woefully informed them that she had given their table away to, “gasp”, a walk-in and suggested they sit at a makeshift table set up in the passageway, staring at the bar. Now the Queen was justifiably pissed and shouted: “Off with their heads!” Before this escalated into a scene, the quick-witted courtier promptly phoned the Family favourite, Á Tavola, who luckily had a free table and the Family ended up having a super time there as always. Back at the palace, the Queen was demanding action, “Somebody must pay!”, she exclaimed. The courtier was busy sweating bullets, dreading demotion to the palace kitchens to wash dishes for the rest of his life. He did, however, persuade the Queen to wait for 24-hours for a response. The next day the restaurant owner at Rare Grill did, in fact, call the palace and apologised profusely, offering a free dinner as compensation - even going so far as to offer his carriage to bring them there (an Uber voucher). The Family decided to take him up on his offer but politely declined the carriage. Time passed and the family returned to Rare Grill for their dinner invite. I am happy to say they had a lovely evening. The restaurant was warm and cosy, the steaks were delicious, especially the sirloin on the bone. The chocolate vodka shots should be locked up they're so good. The Queen Mum complained a bit about the acoustics, but she is 87 and a somewhat hard of hearing, so no one else was too bothered by this. The Family thanked the owner for his generous spirit and for looking after them so well - they were so pleased to be able to give them a second chance. The Queen left happy, with a belly full of food and all was well in the land. Thank you, Sir, what a Knight! The End The moral of the story, we all mistakes – so don't diss people before they have a chance to redeem themselves. Almost reluctant to write a review so as not to share a well kept secret. That would prejudice the owner who deserves to get the support for this gem. He has set himself a high standard and by not pushing the boundaries on price he has a winning formula. Keep it simple but good. Steak is the speciality. Fun and good wine offering. The service is friendly and efficient. The place is small so booking essential.